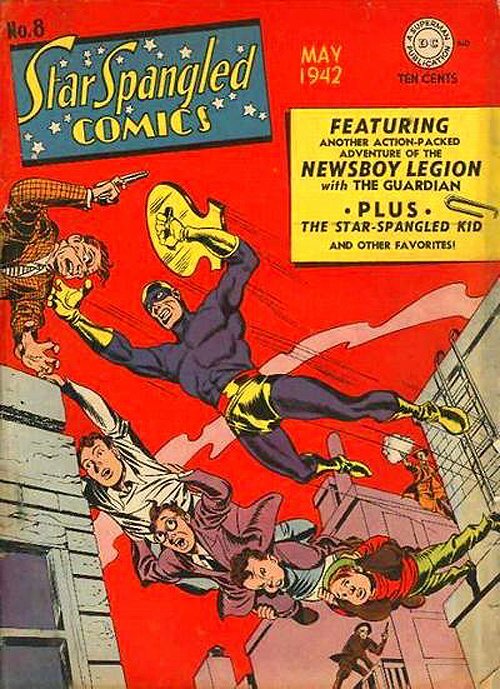 Click Here To See Star Spangled Comics #8 Comic Book! 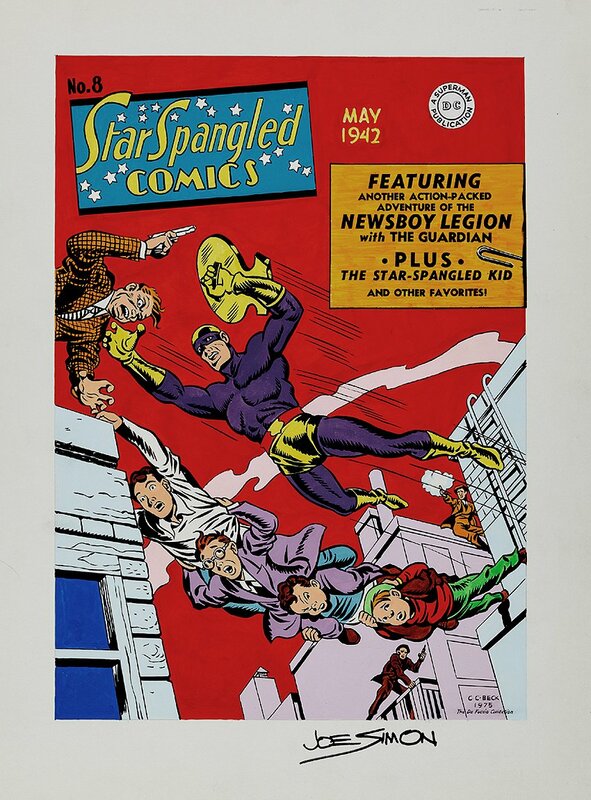 Check out this stunning 1975 Star Spangled Comics #8 Newsboy Legion Cover Re-Creation. In "Last Mile Alley" the Newsboy Legion decide to peddle their papers in some of the worst sections of Suicide Slum, and it's the Guardian to the rescue. This acrylic on board re-creation of the Simon & Kirby cover classic from May 1942 was recreated to PERFECTION by the great C. C. Beck in 1975! Cover has an image area measuring 11.2 by 16 inches, on a larger 15 by 20 inch Thicker Crescent board. and it's in Very Good condition. As a bonus, the piece is signed in its lower margin by Joe Simon also. Compare this nice cover art to the published comic book in the red link above! ALL art on our website (including this one) are able to be purchased with VERY fair time payments, and trades are always considered towards "ANY" art on our website! Just send us an email to mikeburkey@aol.com and we can try to work something out.